After a very busy 3 months I’ll be posting updates again. We sold our old house and moved out, so that took a great deal of time. We are staying in temporary housing while we finish building the new house. We are almost done with the supply side of the plumbing. It is all done except the shower valves. 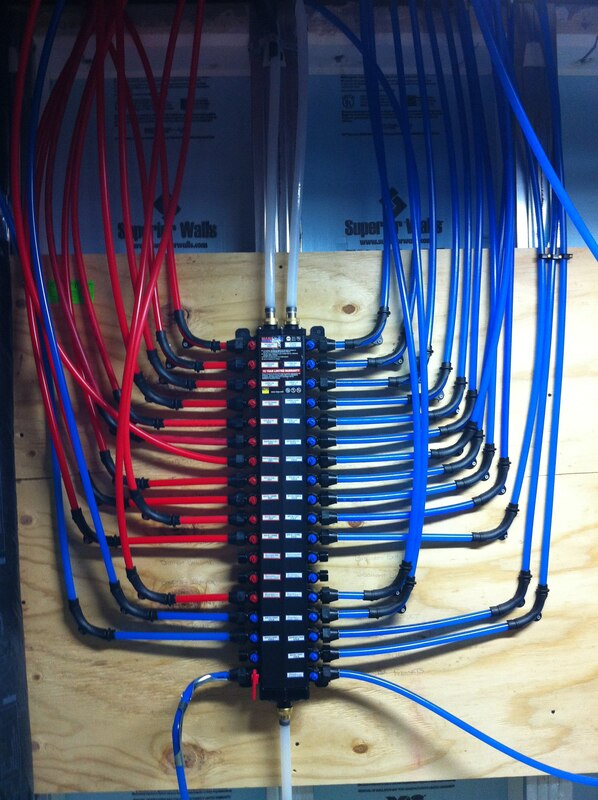 I decided to use PEX piping and a manifold with home runs. Below is a picture of the manifold. The pipes still need a little tidying up, but you get the idea. 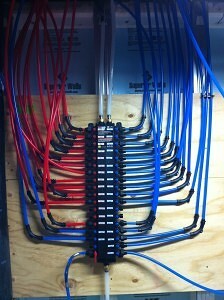 This entry was posted in Building New House and tagged PEX, plumbing, supply manifold. Bookmark the permalink.